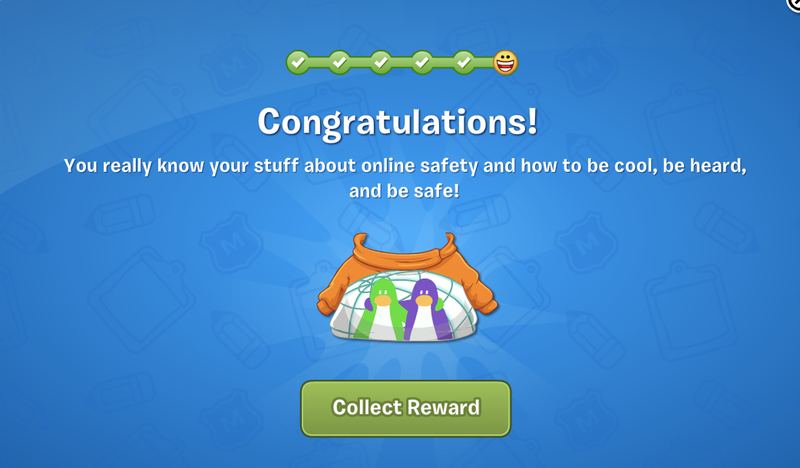 Club Penguin Cheats by Mimo777 Club Penguin Cheats by Mimo777: Take the Safety Quiz! There's something new you may have noticed on your Club Penguin screen! Possibly this icon at the top right of your screen!? 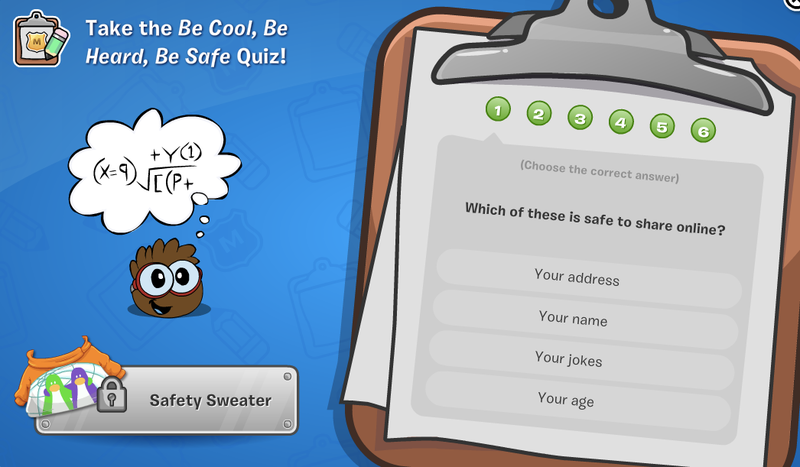 If you click it it'll take you to a safety quiz CP wants everyone to take! So go ahead and take a whack at it! Select all the correct answers (don't worry, it's easy) and you get an awesome hoodie! A sweet hoodie all for taking an easy quiz!? That's awesome! Make sure you make time to take the quiz! Mimo777 you should show the answers so we can complete the quiz! Do you even need the answers? Its easy enough as it is. Man I remember when I used to go on this blog. I have missed you Mimo, but I have moved on from Club Penguin.